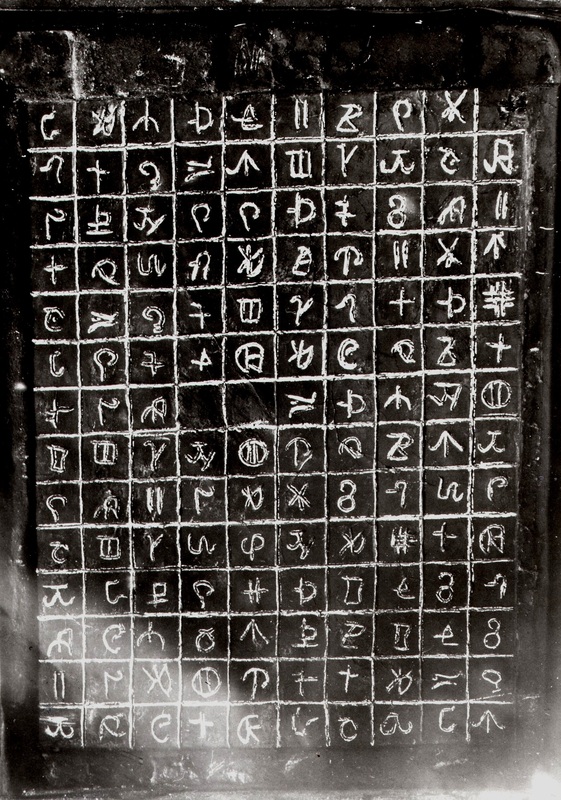 In the last posts we looked at the overall layout of the Newberry Tablet and many symbols. The list has grown and the reading is completed here. The symbol identification thus far has suggested the topic of the tablet is a double comet collision and its crater was to be a point of reference for future measurements. The remaining symbols should support this story. The last of the study comprises 15 symbols. The remaining symbols are left for the reader to identify. There is one symbol that resembles the ‘Q’ of the Paleo-Hebrew alphabet. It is suggested it represents cue or to line up, or quay, the place where ships line up. Since cows walk in a line and the Old English word for cow, spelled cu, is very similar the symbol perhaps means to line up and/or skin, an important by product of cows. The symbol similar to a rectangle is found in the Luwian symbol list #89 and has sound value ‘tu.’ This is very similar to the word tow and is so noted. The symbol that is a square divided in half is always followed by the symbol that looks like a ‘Y’. Both symbols are extremely similar to the ‘ch’ and ‘vav’ of the Paleo-Hebrew Alphabet. 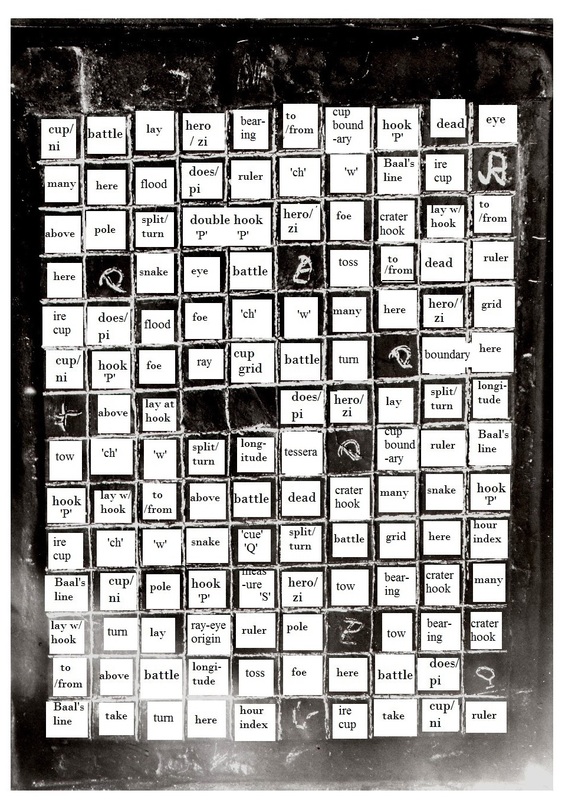 Substituting the sounds ‘ch’ and ‘w’ into the table find the word ‘chew’ repeated four times. This word is also an original Old English word. The circle with a hook on top is found in the Luwian Glyph list at #435 with sound ‘a’ and is noted in the table as crater/hook. The symbol that looks like a large curling ‘e’ most likely means ‘turn’ since the Adena Tablets and the New Hampshire Mystery Stone included this idea. It is so noted in the image. 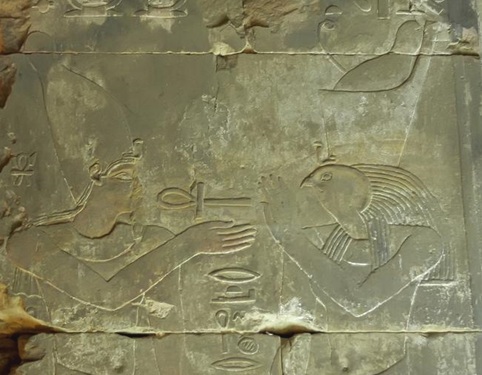 The symbol that is the cup with a dot in the middle and a small stroke at the top is translated by understanding that in Luwian Hieroglyphs the small stroke added to another symbol is an ‘r’. This gives us an eye-r-cup or perhaps ‘ire cup’ and is so noted in the table. Newberry symbols replaced with proposed meanings. See images below and text for more information. It took some time to identify the symbol first row, fourth from the right and the symbol in the sixth row second from the right as being related to each other. The latter is found in the Luwian glyph list at #506. It is also found in Assyrian art and Olmec art described in a previous post as the odd little purse. The glyph list notes it as having sound ‘hana.’ In Old English this word means boundary stone. The symbol in the first row combines it with a ‘cup’ so that the distorted ‘B’ shape is created. They are noted in the chart as boundary and cup/boundary. The symbol in the second row third from the right is similar to a reversed ‘e’ with an extra mark below it. In fact it appears to be an ear. In Old English the word ‘ear’ besides meaning ear means wave or flood. The association no doubt arises because of the whirlpool design of the ear. It is noted as ‘flood’ in the table. Since many of the symbols are similar to Paleo-Hebrew perhaps the cup that is upside down and upon an upstroke is the letter ‘ts’. The words ‘toss’ or ‘tease’ is essentially defined by this sound. The similar symbol that combines the former symbol with a short stroke is then ‘ts’ and ‘r’ and is actually closer to the Paleo-Hebrew ‘ts’. This then sounds out the word ts-r or tesserae and is so noted in the table. This word means a small square tile. The hook or staff studied in previous posts can now be associated with Paleo-Hebrew ‘P’ which begins such words as pea, power, pole, and point. The ‘P’ has been added to the table. The symbol in the first row fifth from the left that appears to be a triangular ‘e’ with a large side stroke reminds one of the Paleo-Hebrew ‘B’ with the Luwian ‘r’ added. This gives the word b-r which suggests the word bear as in direction and it is noted in the table as bearing. The last symbol identified here is the circle with the two side strokes like antennae and the dot in the middle. The Paleo-Hebrew letter Ayin or ‘A’ is a circle. The dot supplies eye or sound ‘i’ and the two strokes give two r’s. So then we have r for ray, an eye, and a-r. The latter suggests the Old English word ‘or’ which means origin. It is noted in the table as ray-eye-origin. So then, the table provides short readable sentences. The first line perhaps reads: The battle at the cup where lays the noble bearing is the to/from boundary. The cup is the dead pole and the eye. Continue to line two and read: Many here caused the flood. It was the powerful ruler that was chewed. It is Baal’s line at the angry wandering cup …(unknown term). In other words they say: There was a comet impact. It is the crater at magnetic north. Here is the reference boundary for longitude. The crater is the former north pole and the eye of the comet. Many comets here caused a flood. It was the north pole that was destroyed. It is the longitude of the double comet’s (Baal’s) crater that…. The remainder of the table can be studied at one’s leisure. Enjoy your New Year! Happy Holidays! 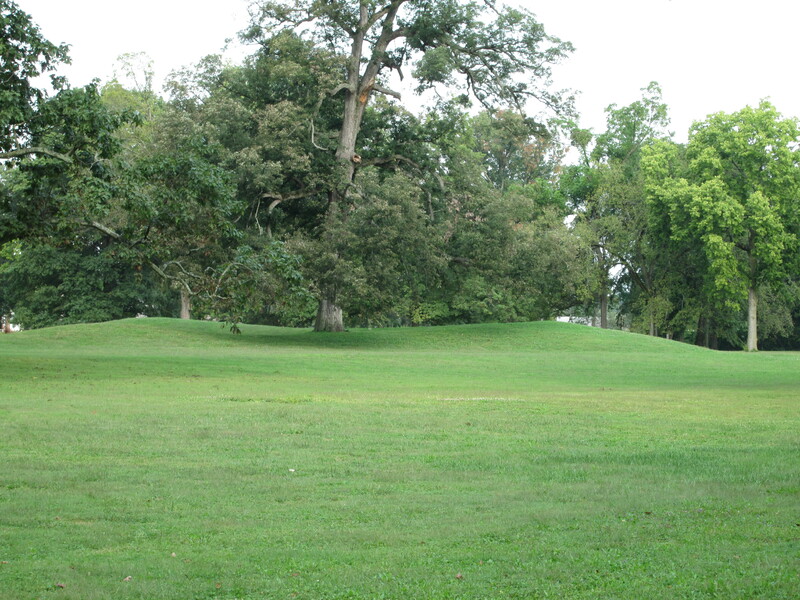 Group of Four Mounds called the Bird within the Great Circle at Newark, OH. Back to TABLE OF CONTENTS for this article.